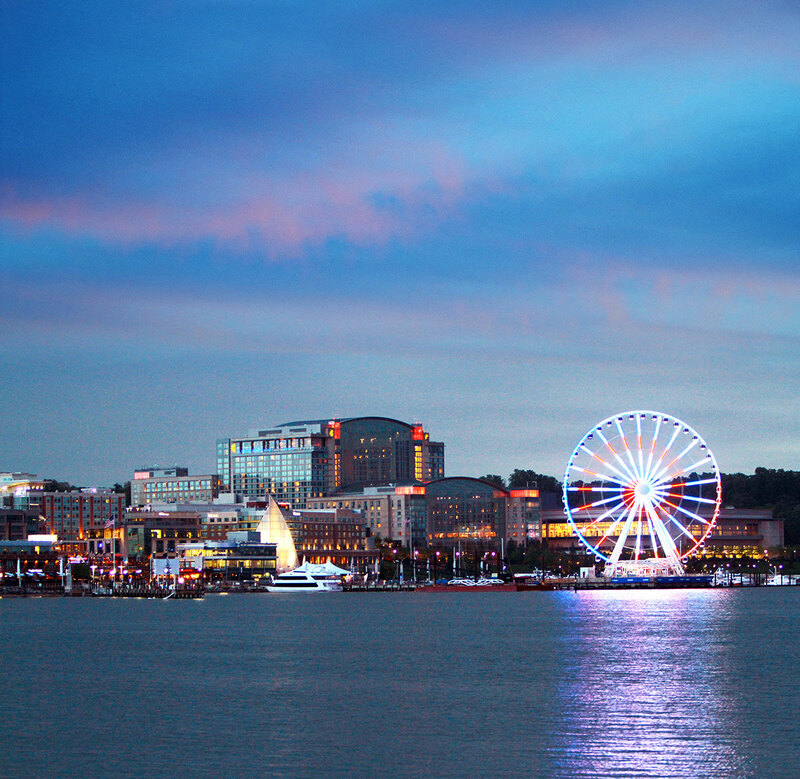 National Harbor in Maryland will open its latest attraction, The Capital Wheel, on Friday, May 23rd in time for Memorial Day Weekend. Soaring 180-feet above the Potomac River, the Ferris wheel-style ride will join a roster of large-scale observation wheels and serve as the mixed-used project’s latest attraction. National Harbor is located in Prince George’s County, Md., just over Northern Virginia’s Woodrow Wilson Bridge. The Capital Wheel has 42 climate-controlled gondolas. A VIP gondola, National Harbor One, seats four passengers and offers glass floors, wine chillers, a retracting monitor/DVD player and leather bucket seats. The remaining 41 gondolas accommodate up to eight passengers and feature glass exteriors to maximizepanoramic views of the National Mall, White House, U.S. Capitol, Arlington Cemetery and beyond. The Capital Wheel plans extended operating hours this summer. From May 2014 to August 2014, the wheel is open from 10:00 a.m. until 11:00 p.m.Ticket prices are $15.00 for adults and $11.50 for children 13 years and younger.